CRANBERRY SUMMER SAUSAGE A nice blend of beef and pork summer sausage with real whole cranberries added. 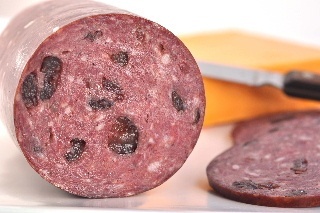 No nitrates or nitrites, no msg or gluten. 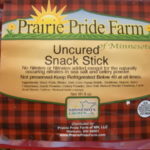 Very popular at the farmers market! Great on the meat and cheese tray for holiday entertaining! 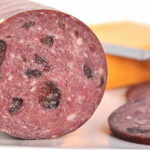 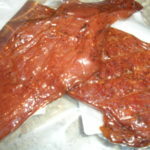 Be the first to review “Cranberry Summer Sausage” Click here to cancel reply.